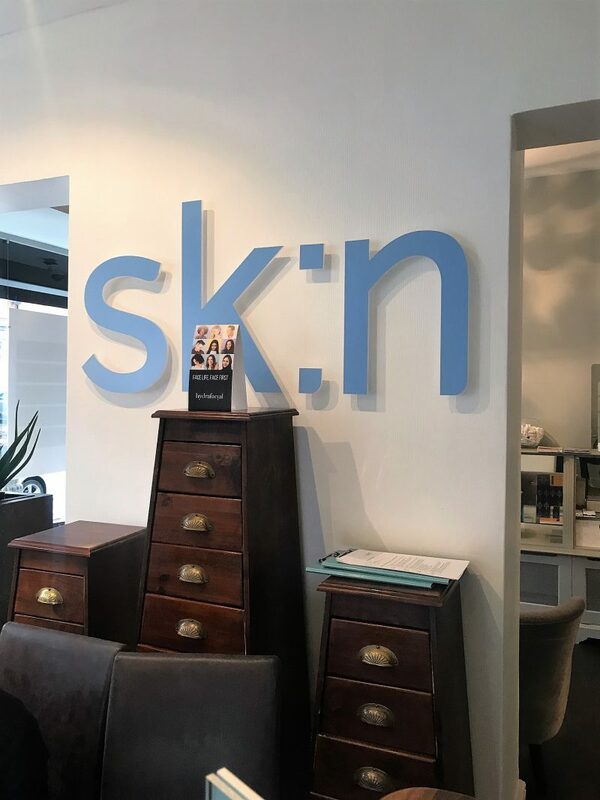 Yesterday, I gave my skin a lovely little treat with the help of the team at leading skin treatment specialist, sk:n. I headed to the lovely new sk:n clinic based in Altrincham, after realising that my skin was in need of a major pick me up, to refresh and revive its dullness. 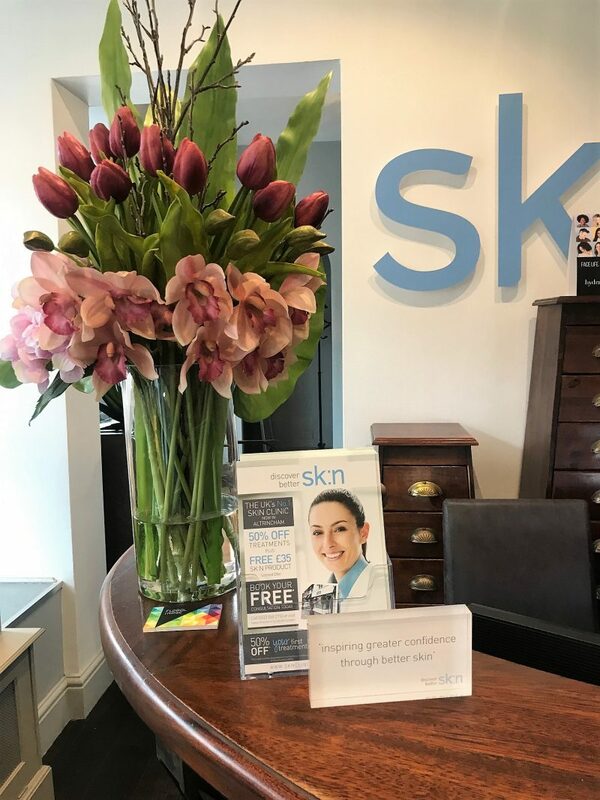 The clinic, which was previously Lido’s Health Spa, was acquired by the sk:n network in late September last year, and has undergone a full refurbishment. It now focuses entirely on skincare and aesthetics, delivering a wide selection of tailored skin treatments. 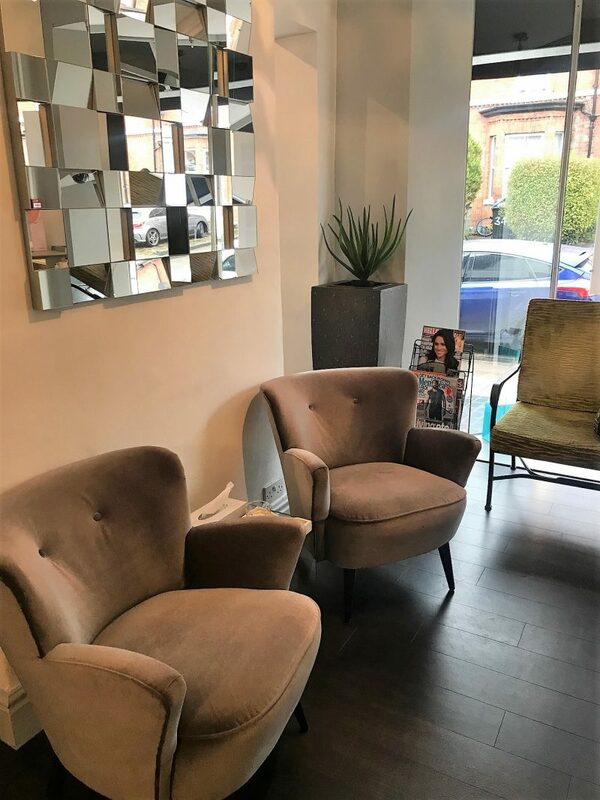 I opted for a peel on my visit, but I could see from the treatment list they offer the celebrity favourite, HydraFacial, as well as laser hair removal, skin peels, injectables and dermatology solutions. 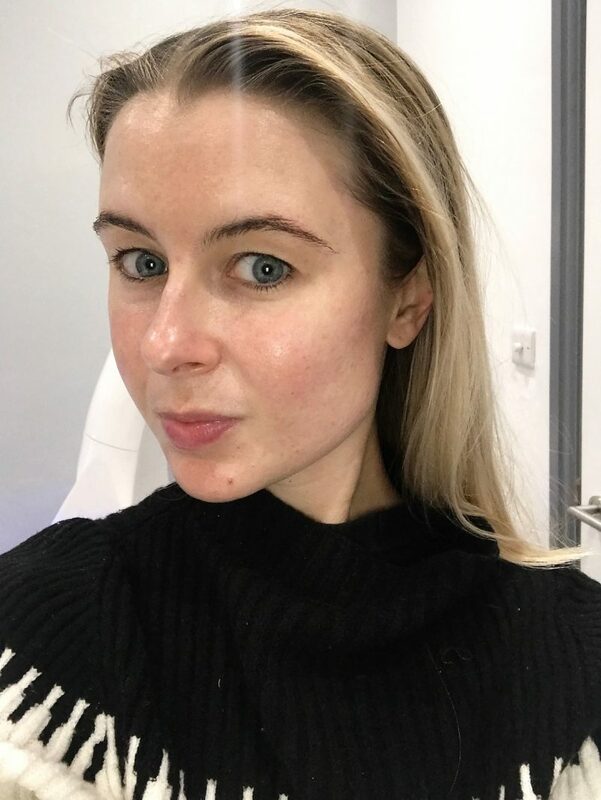 I chatted to my therapist about their Dermapen offerings too – something I might be keen to check out in the upcoming months! So lets have a look in more detail about the treatment I received. 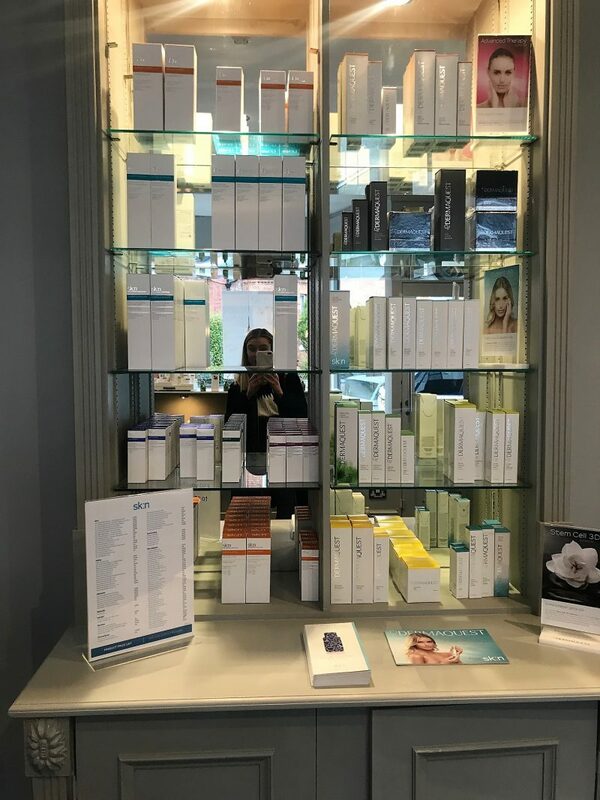 I went for the Dermaquest MangoBright Peel, which my lovely therapist went through me in intense detail first, and assessed my skin to check it was the right treatment for me. Katie popped my face into her skin analysis system, which shown us both how much sun damage and pigmentation I had. Honestly, I was riddled with pigmentation allllll over, it really was an eye opener! It was super interesting to have Katie talk me through the orange and purple dots appearing on my face too. She highlighted that the ones on my forehead, nose and chin indicated a real oil prone area, whereas my cheeks were looking more of the dry side. 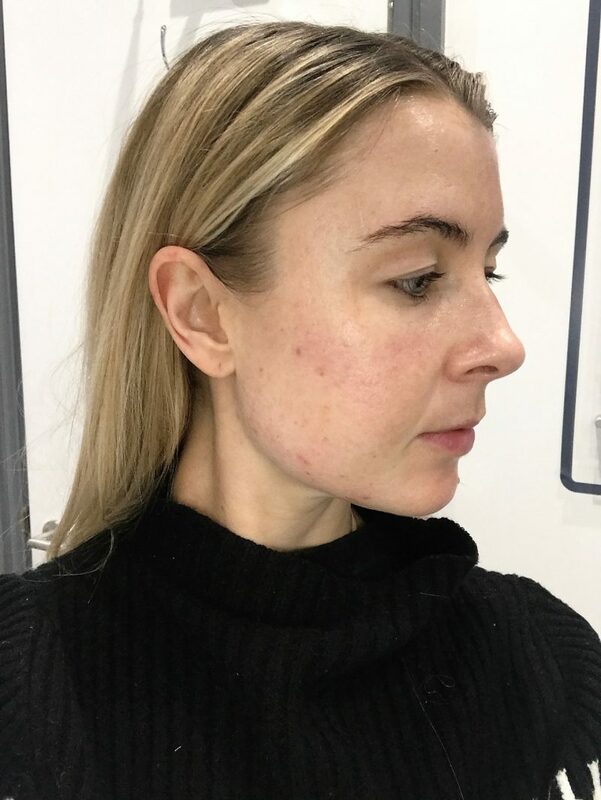 As it looked like I was more than ideal to receive the Mango Brightening Peel treatment, I lay on the warm bed and prepared for my 30 minute exfoliation treatment, in hope to help lighten the appearance of pigmentation and dark spots. I researched before that the MangoBright is one of DermaQuest’s newest peel. The treatment starts with a double cleanse followed by a derma prime to remove absolutely any oil or dirt from my skin. Then, the peel is applied, and remains on the skin for around 3-5 minutes, with the therapist monitoring any redness or tingling. It did tingle a little, especially around my nose which is a super dry area. But all in all, I didn’t really go very pink, and the tingling calmed down as soon as my therapist applied the calming creams, moisturiser and SPF at the end of the treatment. I was handed a mirror at the end of the treatment, and all I can say is WOW. The therapist warned me I was glowing, and boy was she right. The peel had improved my skin brightness and gave a lightening effect to the pigmentation and red marks staining my skin. The peel is said to also help refines the appearance of wrinkles, decrease existing acne and aid in preventing new acne lesions. I certainly noticed the angry red spots on my jaw had calmed in size and redness straight after the peel. Huge shout out to the ever so professional and brilliant team at sk:n Altincham. 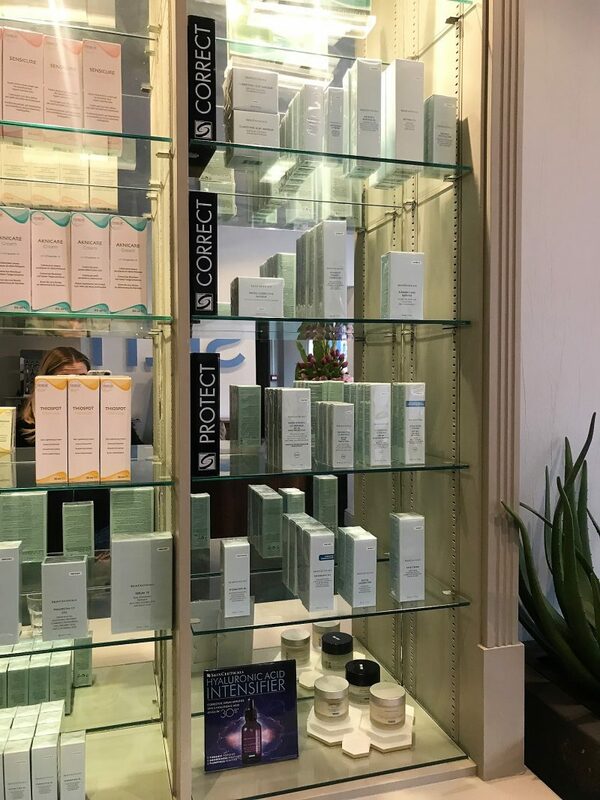 The clinic is beautiful – such a lovely place for facial treatments, and my therapist was extremely knowledgeable. I’d 100% recommend this place for their peels, and hopefully I’ll be able to check out the Dermapen treatment too. 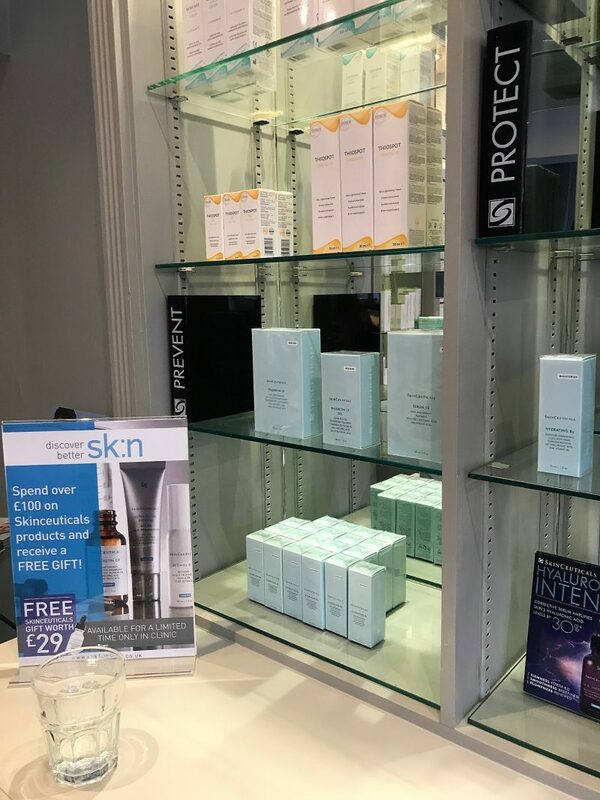 The Dermaquest MangoBright Peel costs £80.